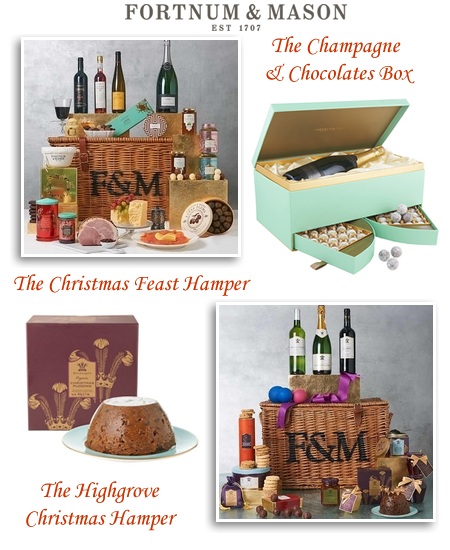 Make Christmas extra special with luxury food and drink hampers from Fortnum & Mason. 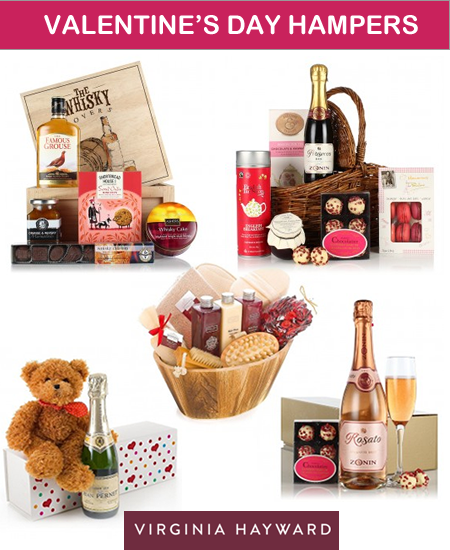 Opened in 1707 the iconic department store sends their famous hampers all around the world. Brimming with seasonal favourites, store cupboard staples and fine wines to get in the festive spirit. 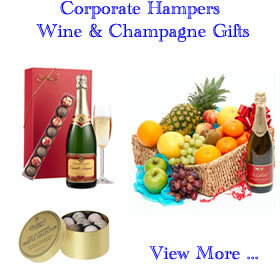 Browse the latest hampers, gift boxes and baskets and find the perfect combination to suit any destination. 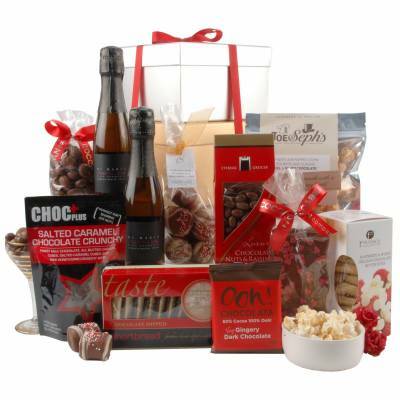 Whether its sharing with friends, family or sending someone the most decadent food and drink gift to remember. 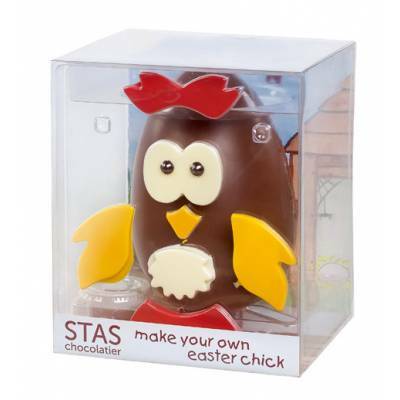 The range offers a delicious selection of flavours and gourmet treats for you to Create your own Hamper. 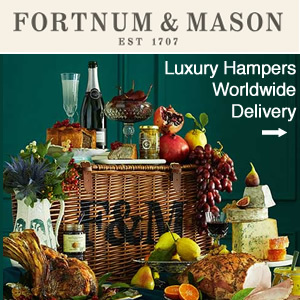 Fortnum and Mason has a hamper for everyone including tailored hampers for her, for him, Birthdays, weddings and their famously luxurious Christmas hampers. The ultimate Christmas Feast Hamper is one of many luxury treasure chests that never disappoints. Simply lift the lid to find an indulgent array of delightful things and specialities including: glazed mini cooked ham, smoked salmon, cranberry and apricot chutney, cognac butter, truffle and honey stilton jar and a Somerset vintage reserve cheddar box. From savoury to sweet delights with a chocolate ginger selection, cherry and cranberry biscuits, plump and juicy Elvas plum, gooseberry and elderflower preserve, rich traditional Christmas pudding, a box of cocktail truffles. Festive wines and spirits further add to the merry occasion these include a Pomerol, 10-Year Tawny Port, Alsace Grand Cru Riesling and a magnum of Blanc de Blancs Champagne. Finish the feast with the finest world teas; a Darjeeling FTGFOP and Rose Pouchong Tea. 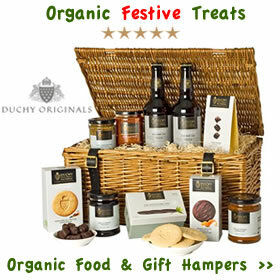 An exceptional wicker gift hamper for the foodie who will appreciate the specially selected organic produce. 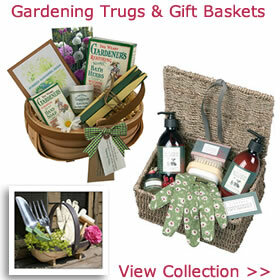 The Highgrove Hamper is made entirely with products from the Prince of Wales estate. The high quality contents include organic strawberry preserve, super rich milk chocolate bars, cranberry and almond shortbread, Duke of Rothesay marmalade, Prince of Wales blend tea and a flavourful highgrove Claret. 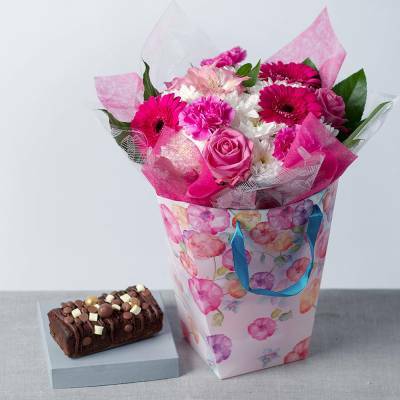 Beautifully presented in a traditional lidded wicker basket. Delight that special someone with a deluxe champagne and chocolate box filled with Marc de Champagne Truffles and a bottle of Blanc de Blancs Champagne. A fine gifting choice presented in a lavish satin-lined box, the festive red gift box is perfect for Christmas celebrations. Also available in Fortnum & Mason’s signature eau de nil gift box a popular choice for anytime of the year. With live football on the TV what better way than to sit back and enjoy some great tasting beer. 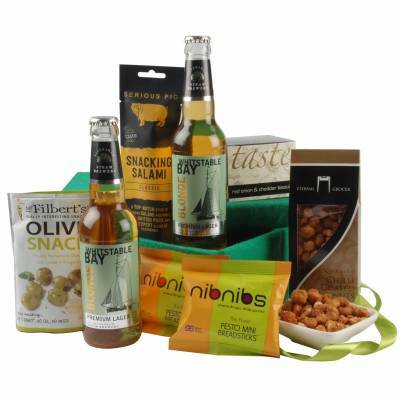 Whisk hampers is home to a range of beer, lager and cider gifts and hampers especially for dad on Father’s Day. 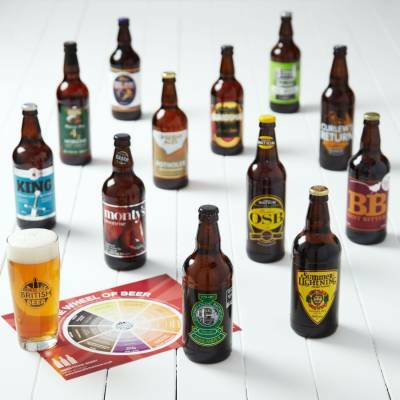 Any pub goer or beer lover will appreciate this thoughtful fun gift box. The Real Ale “Pop-Up-Box” features two Craft real ales from the award winning Hog’s Back Brewery. Some savoury snacks such as chilli crackers and roasted peanuts are included along with 30 Bar Games beer mats bringing a trip to the local direct to your door. From thirst quenching real ales there’s something for the lager fan too with best selling full flavoured Craft lager, Hogstar. Cider lovers are not to be left out with a gift box of refreshing and gently sparkling English cider. 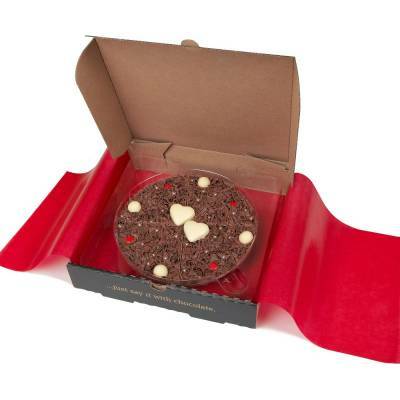 Included are nibbles and fun coasters each with a different pub game, quiz or puzzle to solve. Treat dad to his own beer trug from Funky Hampers on Father’s Day. 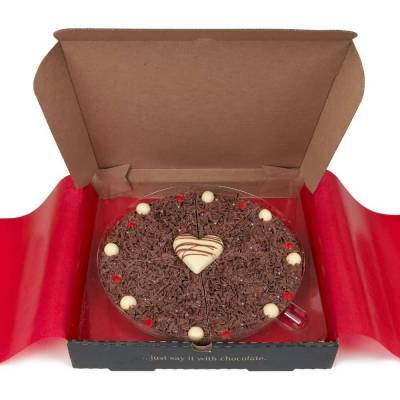 Personalise your gift to make it extra special, choose up to 35 characters for the top and bottom section of the trug. Examples such as Dad’s Beer Hands Off is sure to raise a smile. Handmade in the UK from sustainable pine wood in a rustic brown finish with room to hold 6 large bottles. 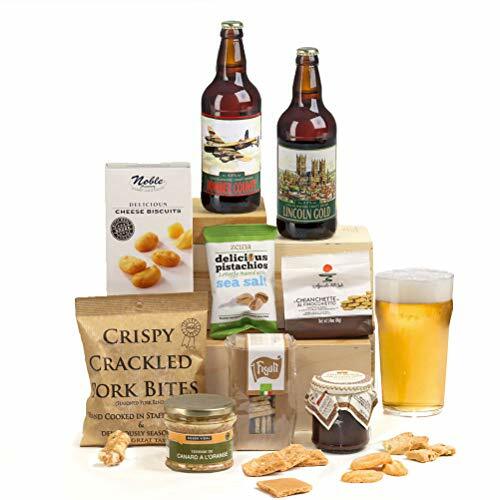 Contents not included so why not create your own Father’s Day hamper and fill it with his favourite beers. 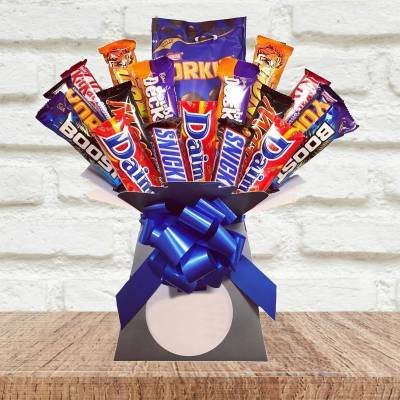 This unique gift can be for any other occasions and birthdays. 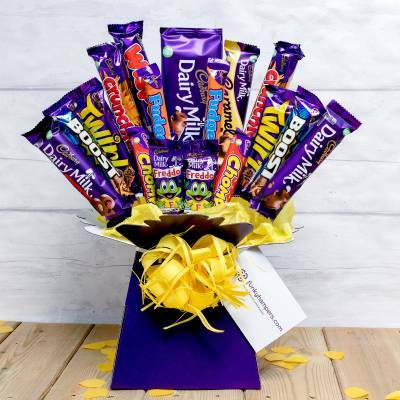 It can be filled with traditional bitters, cider, beer, lager as well as non alcoholic drinks for a great alcohol free gift. 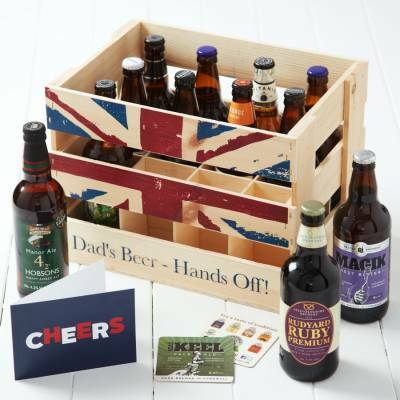 Keep the flag flying with a thoughtful beer gift containing some of the finest British beers. 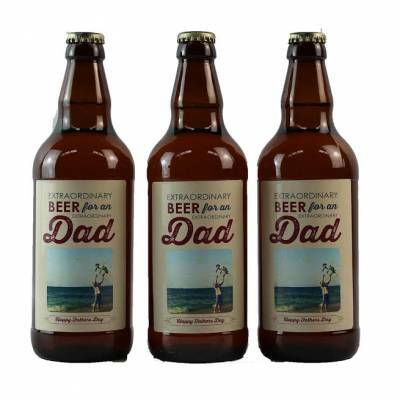 An ideal Father’s Day gift idea that will please the discerning ale drinker. You will find M&S, John Lewis and Selfridges have great tasting ale selections from around the world and the UK. 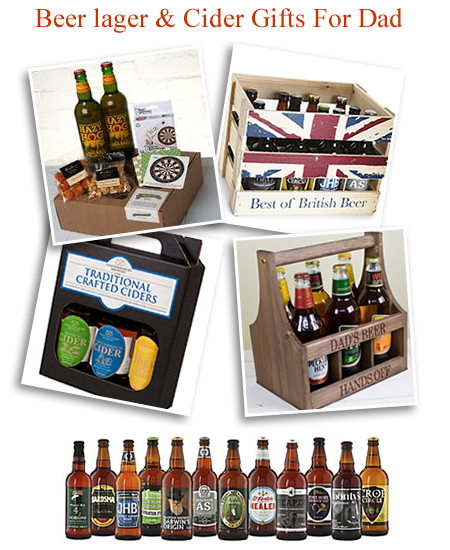 A rustic Union Jack beer crate filled with 12 bottle of British beers is always going to go down a treat. 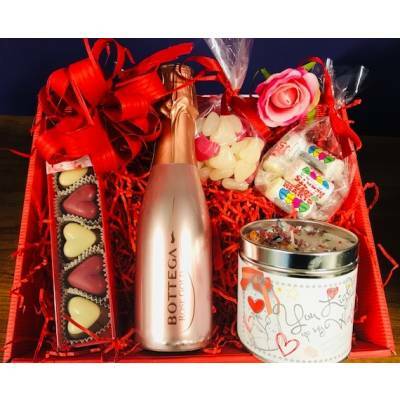 A fabulous selection of Valentine hampers including food, drink and pamper gifts at Virginia Hayward are sure to please. 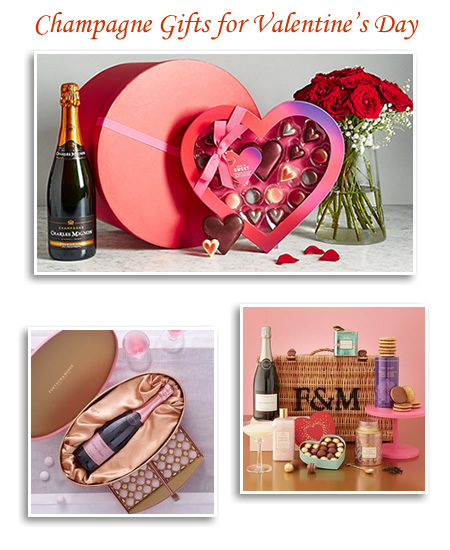 Choose your favourite from bottles of bubbly to indulgent foodie treats and more. 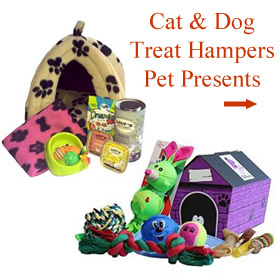 With gift ideas to suit all budgets and the chance to create your own hamper too there’s something for everyone. 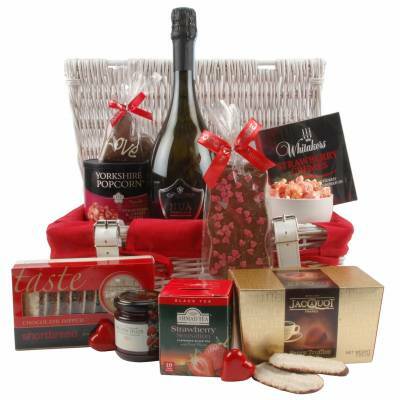 Building your own hamper will add a personal touch to mark the occasion. 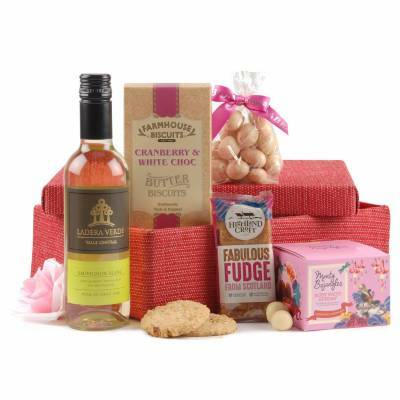 Four simple steps and a chose of over 700 hamper products including wine, champagne, beers, biscuits, gourmet delicacies, cheese, retro sweets and speciality foods. 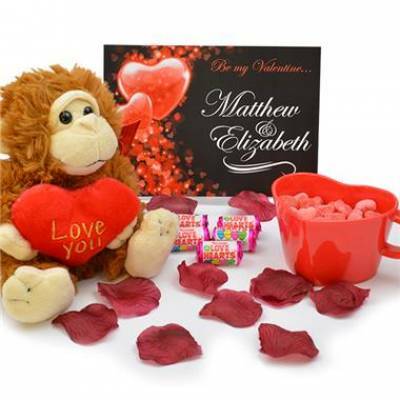 For that special day on February 14th there’s also pretty pink Valentine’s gifts for her and plenty of offerings to impress the boys. The Pink Celebration is the perfect match for romantic occasions. 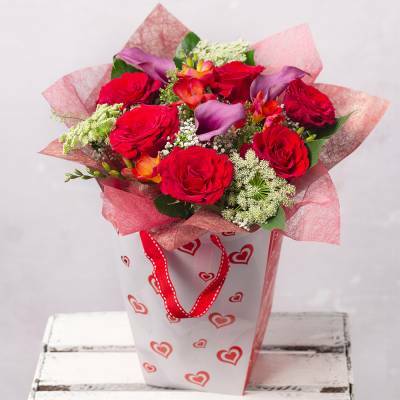 Whether it’s a wedding anniversary or Valentine’s Day the gorgeous duo is a stylish and refined gift. 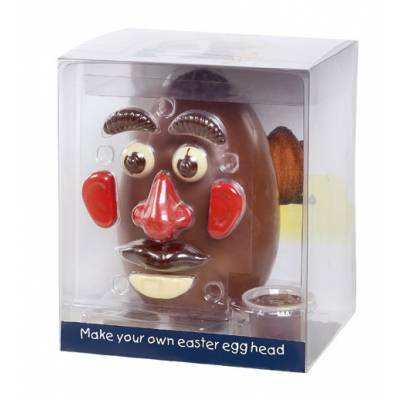 Contents include sparkling Zonin Rosato Spumante Brut and raspberry Marc de Champagne truffles. 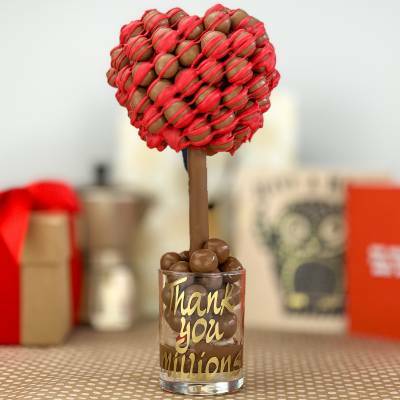 The classic combination of bubbles and chocolates is just made for sharing with a loved one. 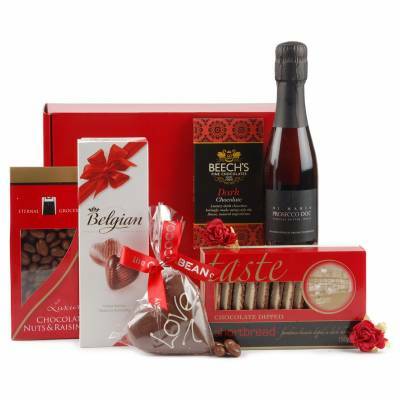 The Champagne and Chocolates gift set is another one for the short list. Handmade luxury dark, milk and white chocolates from Linden Lady are perfectly partnered with Nicolas Feuilatte Brut Champagne. 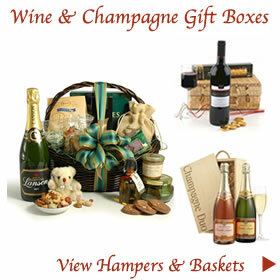 Other sparkling sensations to choose from make a lovely gift choice. The Lovers Bubbles is a beautifully presented champagne gift in a heart adorned bottle bag. The irresistible Cuddle and Bubbles comes in a multi coloured heart box complete with half bottle of Grand Cru Champagne and the very dapper Cuddles the Bear. 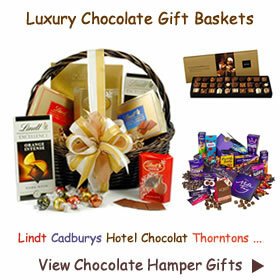 Ladies gifts sets and pamper hampers contain wonderfully thought out selections. An array of pampering treats include everything from scented candles, luxury bath-time products, and richly fragrant home spa gifts along with gardening gifts like the Burgon & Ball soft green hand tool set. Pampering is not just for the girls. there’s the Gentleman’s Grooming gift set offering a vintage style touch for the discerning gent! Presented in a smart tin with a traditional shaving brush, soap and a bottle of muscle soak.